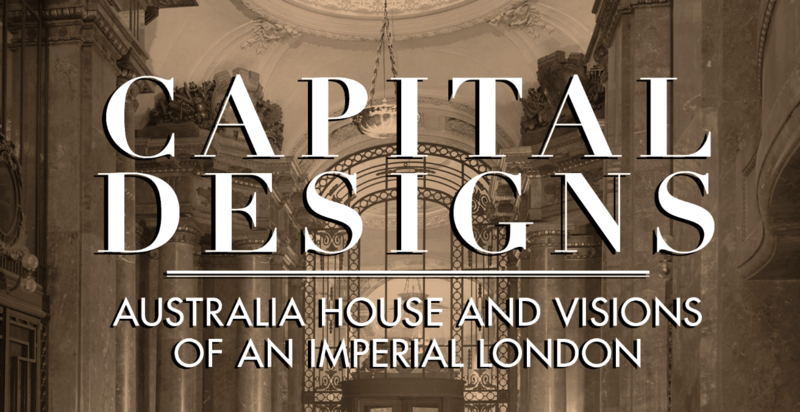 Eileen Chanin’s Capital Designs: Australia House and Visions of an Imperial London is a meticulously researched and illustrated account of the little-known history of the Australian High Commission in London. Australia did not attain independence in 1901. Instead, it willingly became a Dominion of the British Empire which, although cracks had already begun to show, had reached its fullest expansion around the world. Well before Australia had a national capital city or a federal parliament house, prime ministers – of whom there were 10 between 1901 and 1914, including Andrew Fisher and Alfred Deakin three times each – were bipartisan in their eagerness to establish a prestigious Australian presence in London. Their timing was fortunate. London had established a County Council (LCC) in 1889 which aimed to rationalise and aggrandise the imperial metropolis by driving new thoroughfares through derelict areas in emulation of Paris, Berlin, Rome and Vienna. One such location cleared for “improvement” was Aldwych, a crescent off the Strand. It opened onto Kingsway, a boulevard which was to lead to High Holborn. Victoria had built its state office at the eastern end of Aldwych by 1909, and Commonwealth House, built from 1913 to 1918, adjoined it. Later called Australia House, it was the first of several in the area built by other Dominions – Canada, India, South Africa and New Zealand – between 1924 and 1959. 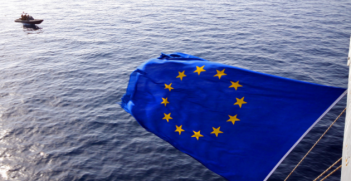 Like all such projects, Australia House encountered problems. As if acquiring the land, agreeing on the design and purpose of the building, and negotiating with states which were reluctant to occupy or pay for it were not enough to try the patience of prime ministers who had to travel repeatedly to London, the project had to contend with the First World War, which brought shortages of labour, money and materials. As well, Londoners saw the imposing building as part of their city and wanted to influence its design and construction. Into the fray came Lord Grey, a former governor of Canada and administrator of Rhodesia, who proposed a single Dominion House near Australia House and much larger, to bring representatives of the Empire together under one roof. The result was predictable, and negative. This little-known history comes to life in Eileen Chanin’s meticulously researched and illustrated book. Her strengths as an art historian illuminate the trials faced by the Australian sculptors in reconciling materials, symbolism and placement with the façade designed by the Scottish architects for the eastern entrance. Grand as that is, the designers’ success is in facing the building inward onto a trapezoid exhibition hall which soars and widens out to Melbourne Place at the western end. Dr Chanin describes in detail the use of Australian wood, marble and floral motifs, which today’s Federal Parliament House emulates. Early leaders, particularly William Lyne, King O’Malley, Andrew Fisher and George Reid (the first High Commissioner to London), showed vision and determination that are rarely noticed in familiar Australian histories. So did London architect Alfred Burr, who proposed Victoria House to the LCC, and the Scots Marshall and Alexander Mackenzie who designed Australia House. Sir Bertram Mackennal and Harold Parker, Australian sculptors in London, all receive belated recognition in Dr Chanin’s engrossing narrative. Dr Alison Broinowski FAIIA is a former Australian diplomat and fellow of the Australian Institute of International Affairs. Her areas of academic endeavor include Australia-Asia relations, Australia and the United Nations, the Australian-American alliance, new journalism and public and cultural diplomacy. 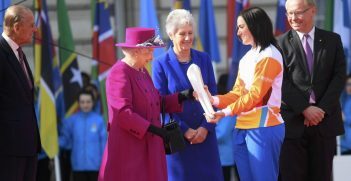 The start of the Commonwealth Games on the Gold Coast provides an opportunity to imagine a hypothetical scenario in which the UK successfully uses Brexit as an opportunity to strengthen its global relationships. 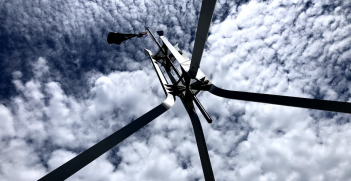 Australia needs a new strategy to direct its foreign policy in order to seize new opportunities and increase its security through strength before the strategic window closes and it runs out of luck.